de la Mancha releases Bent, a free “circuit-bent resynthesis” effect, with tempo-sync granulator effects, and jittering, morphing, and jittering morphing pitch. Windows VST. De la Mancha’s stuff is great, and with some granular effects, you get a “bent” creation that can only exist in software. In fact, maybe “faux” is unfair in that case. 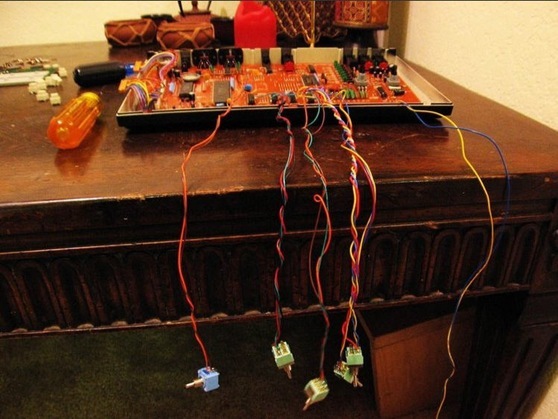 Software doesn’t have the reputation of hardware circuit bending, and there’s not the immediacy of a contact point on a physical circuit. But you can certainly find just as many, if not more, strange and organically accidental “discoveries” when working with code and patches.